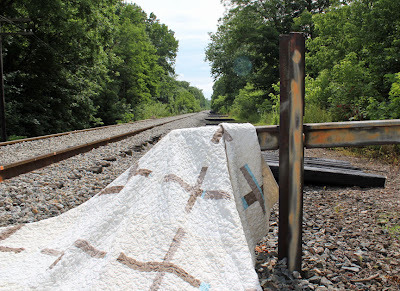 I didn't plan on photographing my latest quilt at these railroad tracks, but we were driving and I thought it looked like an interesting backdrop. I was actually looking for a location at a nearby park, but didn't see anything that I liked. 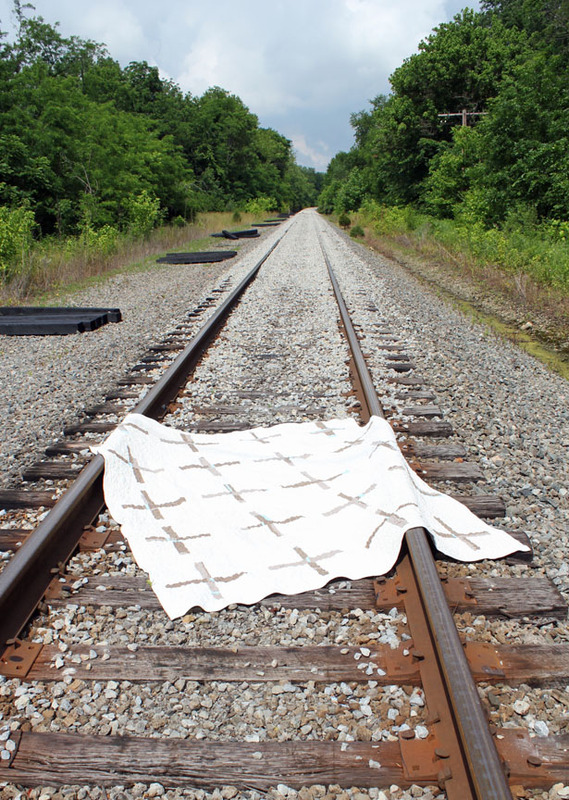 I took a lot more photos on the tracks, but I'm still on the lookout for a better location today. Wish me luck, please! 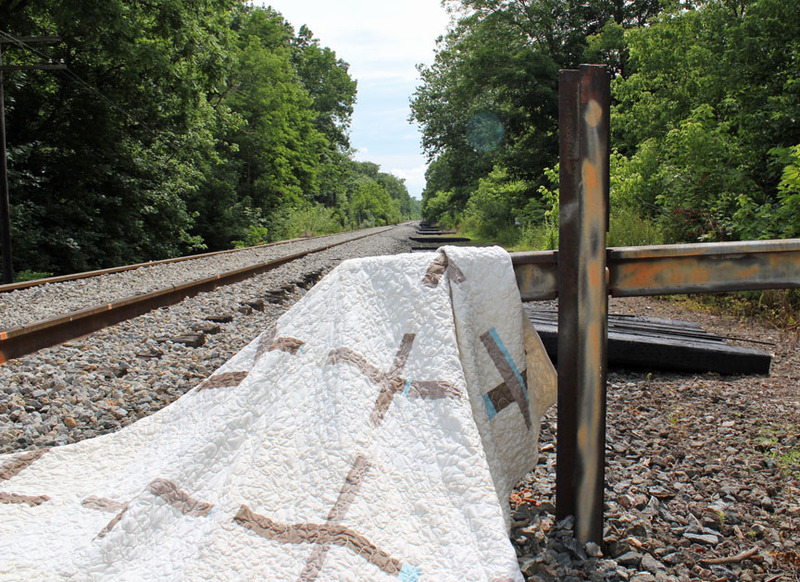 You need to find an old church to photograph that quilt against! I just love that quilt.